For over 12 years, Chuck has been considered the Leadership & Customer Relationship Management specialist for Dealer Magazine, the auto industry’s top monthly publication read by dealer owners and managers. His monthly articles provide significant insight into specific leadership, training, process development, team member and business growth issues which help and encourage dealerships in dramatically improving performance and developing strategic plans for their overall growth. 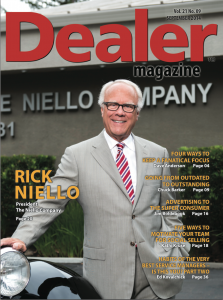 Again, Dealer Magazine is specifically targeted across the country to dealer principles, managers, and high-level executives in franchised dealerships. His content also appears on their website and in their weekly e-Newsletters read by more than 70,000 industry professionals. Chuck’s corporate world and international business experience and perspective are all about personal and business improvement development. Our goal is to develop your sales, service, and management team for expanded success in this field! Plain and simple, we want your dealership to be successful. That is our report card to the dealership community. We have a reputation at stake, but more importantly, our success will be measured by the growth and development of your team’s successes. We give you our all and in return, we only ask for your “commitment to your own success” before you initiate the first steps in giving consideration to assisting you towards improving your store’s business. Chuck Barker has been our resident expert on all things pertaining to Leadership, processes and CRM impacting dealers. 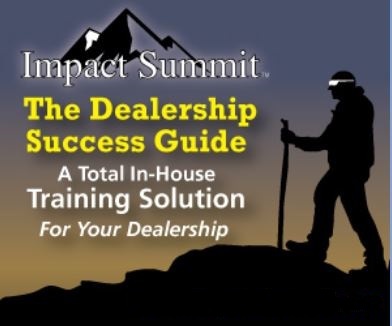 His articles provide tips, insights and instructions on how Managers and dealer owners can improve their people & processes. Dealer Magazine is very appreciative to have Chuck’s articles in our publications and in our newsletters.